It should probably be no surprise that the first thing you do when logging on is to talk to Khadgar in Dalaran. With the arrival of new Legion forces, he will ask you to return to the Broken Shore, and bring the battle to the demons. This will start an opening quest line to establish a beachhead in the new zone. The Broken Shore will probably look fairly familiar to launch Legion players. This is where the pre-Legion scenario happened, where we first fought Krosus and where legendary Paladin, Tirion Fordring, lost his life. 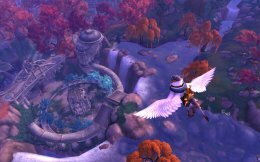 This introductory mission from Khadgar will be your reintroduction to the area, which will end up being the central location for most of the new content in 7.2. Once you get dropped into the new zone, there is a lot to do. Take the time to look around and get a lay of the land. Grab all of the quests available to you, and start on the 11 week quest line to open up the Tomb of Sargeras. Think of this place as Suramar 2.0, a max level questing zone with cool rewards and long questlines. This will also be a great source for reputation with the new faction and their special currency. If you have at least 35 traits unlocked in your current weapon, you should receive a quest to upgrade your artifact. Completing this short questline will refund any AP that you put into your weapon past 35 and will also unlock a brand new tree for you to invest in. The old scaling trait, which could go up to 20, is now a single investment that gives 5 percent additional damage, healing, etc., depending on your role. 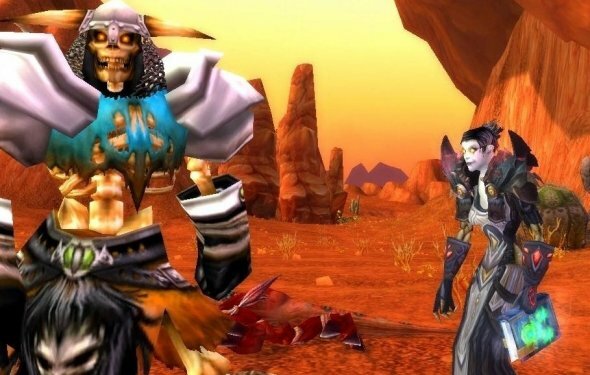 After that trait is unlocked in The Tomb of Sargeras, you can now move onto another flat percentage trait that will net you 10 percent additional damage and stamina, which should make up for Blizzard taking away the 20 trait scaling ability. This is the same across every specialization and every weapon. Once the 10 percent trait is unlocked, things will be different depending on your weapon. Everyone gets a new trait that can be purchased four times, a new trait that can be purchased once and a new golden dragon. All of the old three purchase traits on your artifact can also be purchased an additional time, allowing them to have four points. Once all of that is unlocked, Blizzard has added a trait that can be purchased 50 times. This trait is a random occurrence when you use attack that will give you extra primary stat (strength, agility, intellect) for 10 seconds. The higher the rank, the more primary stat it grants you. At this point in the expansion, many people have maxed out their Artifact Knowledge to 25. These new traits are expensive, so to help make them more affordable, Blizzard upped the maximum Artifact Knowledge to 50. You must complete a short quest to continue your artifact research from 25 to 26 and so on. You don’t want to waste any time doing this. Artifact knowledge research still takes real time to work, and the jump from artifact knowledge 25 to 26 is significant. If you want to start filling out your new traits quickly, start researching your knowledge as soon as you can. With a new zone comes new things to grind. There is a new-ish currency in Nethershards (which have been used in previous expansions), new world quests to do, a new region specific building effort, and of course, a new faction. The new faction is the Armies of Legionfall, the group leading the battle against the Legion on the Broken Shore. There are lots of cool things that you can buy from them by getting their reputation up. However, you may want to get your rep up with them even if you don’t care about fun toys or cosmetics. If it is going to be anything like Suramar, reputation will probably end up gating later quests. Not to mention that the super cool new class mounts will not be acquirable until you reach exalted with the new faction. As such, make sure you start doing all their quests as well as regularly running all of the world quests on the Broken Shore. As far as the building effort, there are three buildings that all servers in a given region can contribute to. Through world quests, you will be able to acquire Legionfall War Supplies, which you can then contribute to several new buildings: Mage Tower, Command Center or Nether Disruptor. These buildings offer different worldwide buffs once they are erected and have health bars. As the Legion attacks them over the course of a few days, they will lose health, eventually having to be rebuilt.